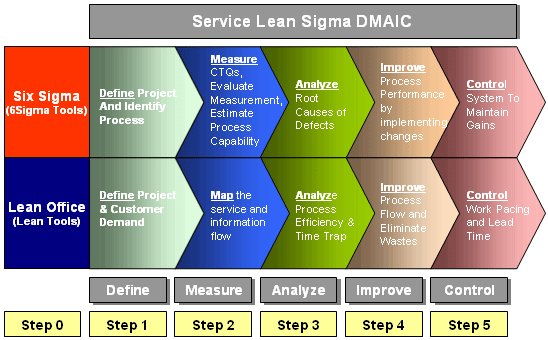 Explorers or Settlers – Is Six Sigma DMAIC Linear or Cyclical? Andrew Downard had a great post last week on the iSixSigma blog about the maturation of Six Sigma. He argues that Six Sigma has an “Act II” problem. Act II is all about institutionalizing Six Sigma so that it actually delivers on it’s promise. Downard argues that the skill set required for Act II is very different than what is required for Act I. My language for this is the difference between Explorers and Settlers. In US history the explorers came from outside, mapped the terrain, and then moved on to the next place. Settlers came in and put up a cabin, plowed the earth, and settled in to make a difference. The actors in Act I are Explorers. The Settlers don’t show up until Act II. I wonder if how we picture DMAIC indicates whether we’re an Explorer or a Settler, or in Downard’s terms, whether we’re in Act I or Act II. I think it may also lead us to different conclusions about how we view data and data systems. If you’re an Act I Linear Explorer, I’m guessing you’ll see data and data systems as something that you need to conquer. Data is a wild river that holds some great fish that you can eat, but essentially it is blocking you from your next destination. If you’re an Act II Settler, that same data river is something that can help drive subsequent cycles of the DMAIC process. In Settler terms you can use it to water your crops, drive a new sawmill, and (once you’ve invented them) power electric lights and a toaster. If you’re an Act I Explorer, tools like GainSeeker Suite won’t make much sense to you. Who wants to build a hydro-electric dam when you’re just trying to get across the river? But if you’re an Act II Settler, being able to connect to disparate data sources, collect and alarm based on statistical process control rules, and analyze for root cause of process variation becomes essential.